The aim of sterilization is to eradicate all form of live microorganism from a substance. 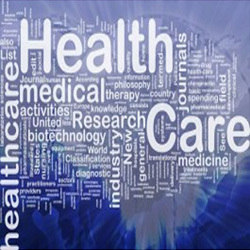 This procedure done particularly for the articles have direct application on human or animals. Hence, it is imperative to preserve a substance for a long time without decay. If not sterilized, then microbes can cause infection. Chemical agents: boiling to set time period. 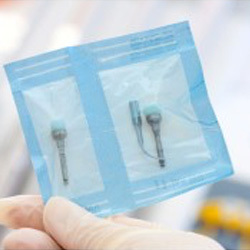 In the process of methods and procedure of sterilization, strongly depend on the “importance of Sterilization reels, pouches and related accessories.” for the purpose. It is a superior quality medical paper that provides ideal sterilizing packing in hospital and clinic use. All imprints are located outside the packing areas to prevent ink pigment migration to the product. Indicators which are water based non-toxic and give accurate for steam EO gas indicator, steam autoclave indicator, formaldehyde Sterilization. Corner seal which helps reduce contamination. These properties are very useful in sterilization process. Surgine Wrap allow for wrapped item to be tightly packed. It is made of high quality fabric SMMS ( Spunbond, melt blown, Spun bond) which provides a high level protection against fluids, particles and microbial contamination. It is ISO 11607:2006 certified product. It helps reduce Moisture proof and cost effective. Bags are printed with several indicators for steam and gas sterilization. Seal in thumb notch, also in V form. Physical Indicators (PI’s): This indicator based on the observation and evaluation of the physical parameters like, temperature, pressure, sound, run time, run number etc. in each cycle of experiment that is recorded. In these day automatic system is also developed to do this job. Chemical Indicators (CI’s): The CI’s involves in the uses of C.I. that change colour or physical form when exposed to certain temperature. Hence it is called as process indicators, which indicates the items have been processed to certain temperature , irrespective of sterilization was successful or not. This is used as external indicator on the outside of each pack, pouch or cassette to indicate that items have been heat processed from those that have not. Biological Indicators (BI’s): Biological indicators involves, a monitoring process, using a known resistant bacteria species of known population, to know the level of sterilization process in which artificial conditions are made to kill the bacteria e.g. the bacteria Geobacillus Stearothermophilus is highly resistant in hydrogen peroxide plasma sterilization. This is the only type of monitor that gives direct evidence of sterilization. BI are considered as “gold standard” of load sterilization procedure.